Published on August 12, 2017,	by admin in Alaska Trip. 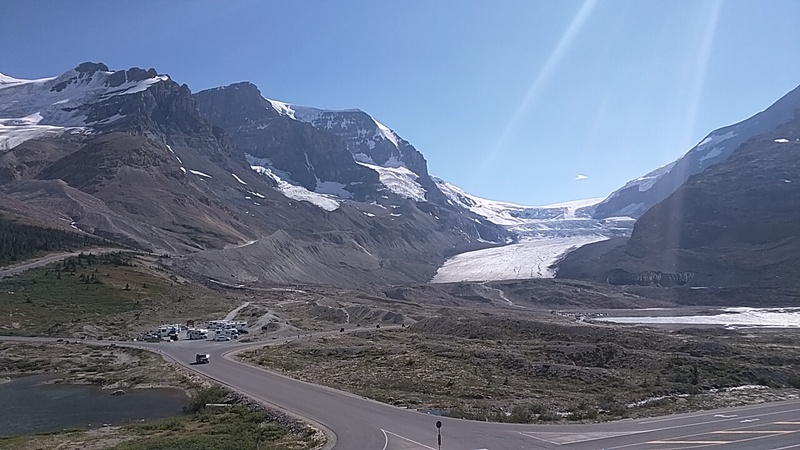 The Icefields Parkway through the Canadian Rockies between Jasper and Banff National Parks was beautiful. The National Parks in Canada are free this year because it is the 150 year celebration of the park service. With the parks being free this year, and then get a weekend of gorgeous weather, everyone in Canada was headed to the mountains. I had bumper to bumper traffic at all tourist towns, and turnouts at scenic places along the Parkway were filled to capacity with vehicles. When I was way back at Denali in Alaska I met a nice couple while I was parked in a BLM campsite. For a while we leap-froged each other and then they got ahead of me while I was in Anchorage. They would text me from time to time to let me know where they were and give me information on nice free campsites they found. I eventually caught them in Whitehorse Walmart and left before they could get on the road. 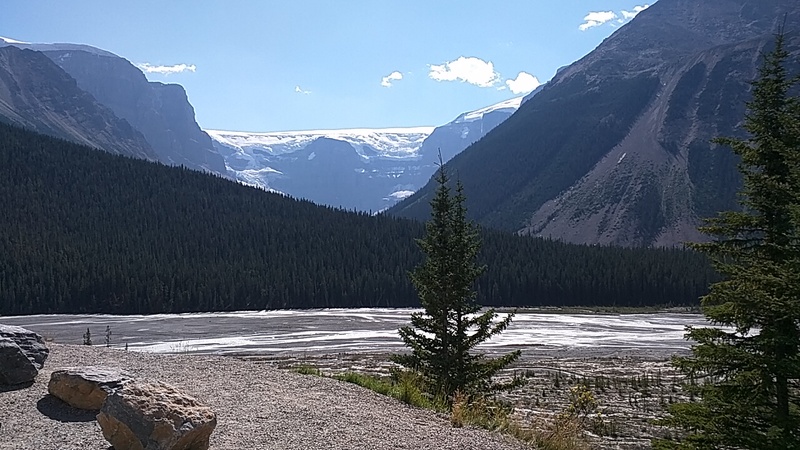 We met again at the overflow parking at Lake Louise and traveled together to the Stony Nakoda Casino, fifty miles before Calgary, last night. All in all we spent six nights camped at the same place. His name is Henri and her name is Yen. 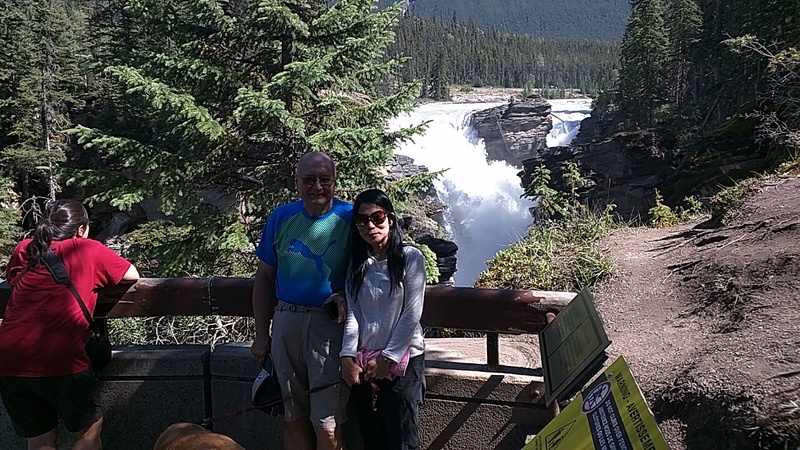 Yen is from Vietnam and Henri is a retired salesman from Montreal. They even invited me to eat with them the last two evenings. We had some nice conversation about our adventures and planned to try and meet again in the southwest this winter. 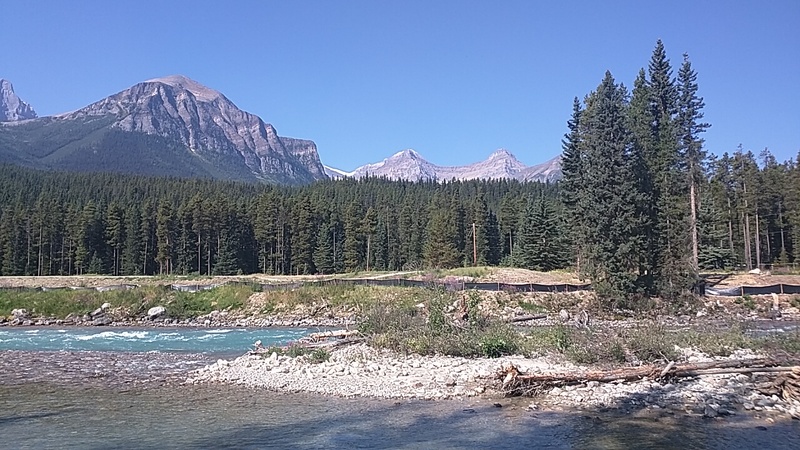 When we were at the overflow parking at Lake Louise, we took a good 5 mile hike along the river. 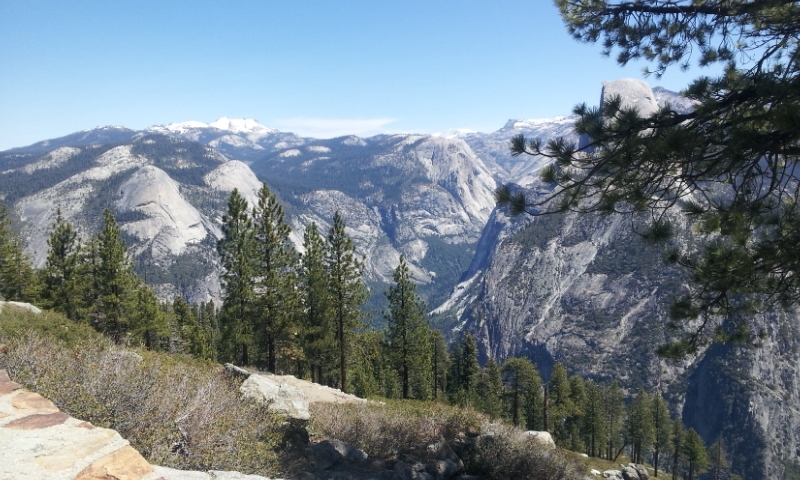 We had to drive 4 miles to find a parking place to take a hike. The first place we wanted to hike was filled to the max with cars and they wouldn’t even let us in. We finally found a back parking lot with a couple RV places. The town was running shuttle buses to events but Yen has a dog that wasn’t allowed to ride. We agreed that a dog can be a good travel companion but it limits you on a lot of activities. 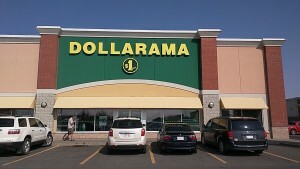 Tonight I’m alone at the Walmart in Lethbridge, Alberta. Henri and Yen are heading east across Canada and I am headed south into the US. The first thing I did when I got here was look for a car wash. I found one that took a credit card, and I’m sure I spent too much getting some of the grime and bugs off both Minnie and Honda. 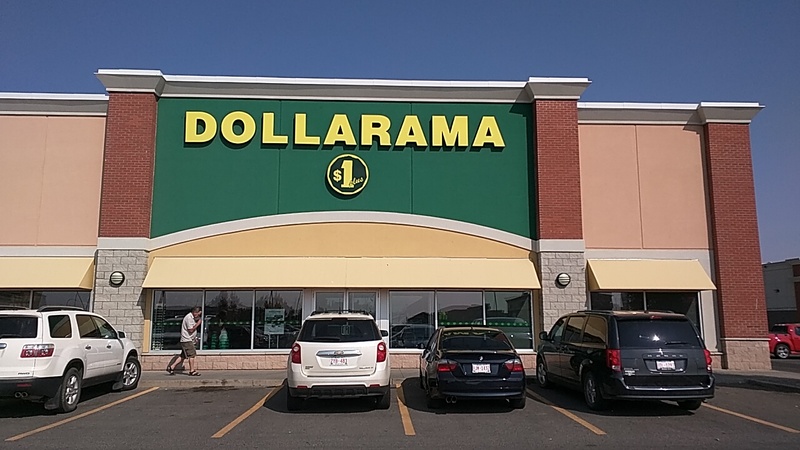 Read the small print on their dollar store. On my way back from the car wash I saw a Jiffy Lube with a special price advertisement. I don’t want to tell how many miles it has been since my last oil change but I’m happy to say Minnie now has clean oil. It is pretty warm here in the Walmart parking lot but I think it will cool off later on. At least I am getting some dark at night, now! It must feel a little bittersweet to be leaving Canada and your big trip behind and heading back “home”. I always have mixed feelings as one of my adventures wraps up. Hope you are fulfilled with all you experienced and are ready to get back to some routine and family time. I’m looking forward to seeing you soon! Welcome back. See you next weekend! Wish we had met years ago Dale. We will surely meet again next year somewhere is the USA.